At Jerry’s Artarama, we do more than provide Florida art supplies for the state’s great makers and creators. We also strive to do our part when it comes to building a thriving community of artists by providing them a place to gather. Whether you’re looking to learn a new skill from a seasoned pro or just want to chat with other creative folks, we offer the time and space you need to relax, learn, and grow. Check out our upcoming events and mark your calendar — we’d love to see you at our Deerfield Beach art supplies store this weekend! Experienced local artists teach our in-depth art demos. Choose a topic that focuses on a technique you’ve always wanted to learn, and come to one of our Free Demo Saturdays to see how to use a particular mat knife or art marker you’ve been meaning to try. All artists spend their lives learning and developing new techniques and styles as they continue on their creative journeys. Just look at the stages of Picasso’s art for example! These in-store and community events are a great way to pick an artist’s brain to learn how they approach a project, discover new ideas, and have a great time with your fellow artists. It’s best to sign up in advance for the event you really want, so give us a call today. Jerry’s Artarama makes shopping for art supplies an event to remember with our weekly gatherings. Join us for a complimentary glass of vino on Wine Down Fridays, and you can sip to your heart’s content while you pick up the items you need for the weekend’s creative burst. 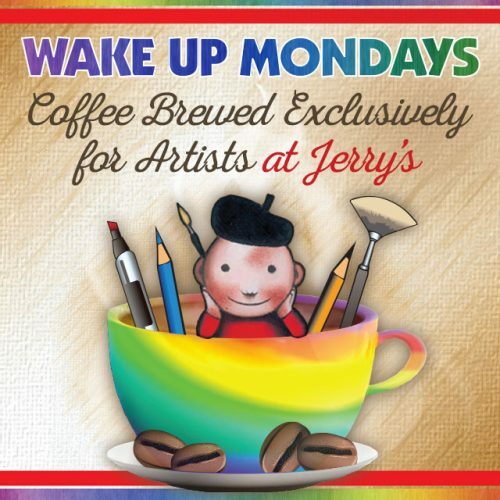 If you’re more of a caffeine lover, come by the store on Wake Up Mondays to grab a cup of joe and stroll the aisles to get inspired for the coming week. This is a great way to meet like-minded artists from up and down the Florida coast, and you’re sure to have an inspiring time! Want to try before you buy? Jerry’s “Try Me” displays are placed throughout the store for your convenience. We even have Free Demos every Saturday where you can use different tools and supplies to see if you like them before you commit. We offer demonstrations and events featuring different art materials every week, so stop back often to see what’s new. With the incredible selection of art supplies you’ll find at Jerry’s Artarama it will take a while to get to try them all! Our Deerfield Beach “Free Demo Saturdays” are an excellent way to compare brands, get inspired by local creatives, try new techniques, and get a feel for a new tool or medium. Who knows? You may find yourself motivated to take on a whole new project when you see what we’ve picked out at our themed tables each week. 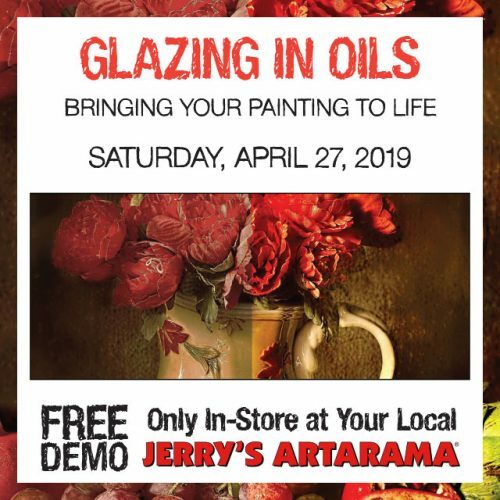 Visit Jerry’s Artarama of Deerfield Beach today to learn more about us, our events, our products, and our community of artists.